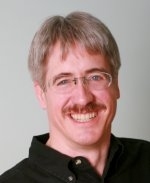 For more than 30 years Todd has developed or led the development across all aspects of software development. This has included development, project management, functional management, quality management, and product management. Most of his career has been spent in commercial software application development for oil and gas exploration and production. Recently as IHS-Markit he was Vice President of Product Development. Some of his roles at Halliburton-Landmark Graphics Corp include Director of Software and Technology, Director of Product Integration, and Senior Development Manager. He is known worldwide as an expert in agile software development. He served on the Board of Directors for the Agile Alliance and is a founder and past President of the Agile Leadership Network. He was a co-author of the "Declaration of Interdependence for Project Leadership." In 2003, he co-founded the Agile Development Conference with Alistair Cockburn. The following 3 years he was the Program Director for the Agile Development 2004, Agile2005, and Agile2006 conferences. In 2011 he returned for the 10 year anniversary of the Agile Manifesto to Chair Agile2011. In 2012 and 2013 he led the Agile Executive Forum. Todd has published and presented work on a number of topics including business value, strategy, real options, project uncertainty, collaboration, individual and group dynamics, offshore development, and managing uncertainty and complexity. Several of his publications have been printed in IEEE Software and the Cutter IT Journal. Todd is a frequent speaker at Agile Conferences. He is a co-founder and on the leadership team of Accelinnova, a business consulting group providing leadership tools in the agile arena. He received a B.S. degree in Chemical Engineering from Iowa State University and an M.S. in Petroleum Engineering from The University of Houston. He also received an Executive Certificate in Management and Leadership from the MIT Sloan School of Management. He is a member of the Agile Alliance, Agile Leadership Network, Scrum Alliance, IEEE, Society of Petroleum Engineers and is a registered Professional Engineer in the State of Texas.